Manuscript submitted April 28, 2011; resubmitted May 3, 2011; accepted May 7, 2011. BACKGROUND: Pancreas and islet transplantation are the only available options to replace beta-cell function in patients with type 1 diabetes. Great variability in terms of rate of success for both approaches is reported in the literature and it is difficult to compare the respective risks and benefits. OBJECTIVES: The aim of this study was to analyze risks and benefits of pancreas transplantation alone (PTA) and islet transplantation alone (ITA) by making use of the long-term experience of a single center where both transplantations are performed. We focused on the risks and benefits of both procedures, with the objective of better defining indications and providing evidence to support the decision-making process. The outcomes of 33 PTA and 33 ITA were analyzed, and pancreas and islet function (i.e., insulin independence), perioperative events, and long-term adverse events were recorded. RESULTS: We observed a higher rate of insulin independence in PTA (75%) versus ITA (59%), with the longer insulin independence among PTA patients receiving tacrolimus. The occurrence of adverse events was higher for PTA patients in terms of hospitalization length and frequency, re-intervention for surgical and immunological acute complications, CMV reactivation, and other infections. CONCLUSIONS: In conclusion, these results support the practice of listing patients for PTA when the metabolic control and the progression of chronic complications require a rapid normalization of glucose levels, with the exception of patients with cardiovascular disease, because of the high surgical risks. ITA is indicated when replacement of beta-cell mass is needed in patients with a high surgical risk. Large longitudinal studies such as the Diabetes Control and Complications Trial (DCCT) among patients with type 1 diabetes have shown that intensive diabetes management, with multiple injections or continuous subcutaneous insulin infusion, delays the onset or slows the progression of long-term diabetes complications. Residual endogenous insulin secretion has also an important effect on onset and progression of chronic diabetes complications . However, despite advances in insulin preparation, insulin delivery devices, and capillary glucose monitoring some patients cannot achieve or maintain the recommended degree of metabolic control. Some patients face frequent episodes of severe hypoglycemia, and hyperglycemia often requiring hospitalization. Others suffer from rapid progression of long-term diabetes complications. The indication for pancreas or islet transplantation in this specific subset of patients is widely accepted by the scientific community. The clinical practice recommendations of the American Diabetes Association state that "transplant of pancreas alone can be considered in the setting of frequent, acute metabolic complications, incapacitating clinical or emotional problems with exogenous insulin or failure of exogenous insulin to handle acute complications" . Currently, no similar statement is available for islet transplantation alone. However, during the last decade much progress has been made in the field of islet transplantation, especially resulting from the Edmonton study and the multi-center experience based on this experience [3, 4]. ITA has been performed in type 1 diabetes patients with decreased hypoglycemia awareness and frequent episodes of severe hypoglycemia, i.e., hypoglycemia which requires intervention of other people to become resolved. A significant variability in the rate of success for both PTA and ITA is reported in the literature, depending on the center transplant experience, the period when transplants were performed, and patient selection criteria. For this reason it is difficult for physicians and patients to choose the most appropriate option. 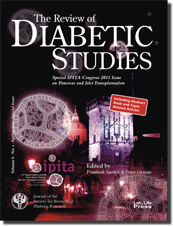 Very little information is available in the literature comparing PTA and ITA in patients with type 1 diabetes. Gerber et al. performed at a single center analysis on patients who also received a kidney graft, and compared the outcomes of pancreas and islet transplantation. The authors reported a higher rate of insulin independence among recipients of pancreas and kidney transplants than among patients who received islet and kidney transplantation: However, the former suffered a higher rate of surgical complications . The aim of this study was to analyze risks and benefits of pancreas transplantation alone (PTA) and islet transplantation alone (ITA) by making use of the long-term experience of a single center where both transplantations are performed. We focused on the risks and benefits of both procedures, with the objective of better defining indications and providing evidence to support the decision-making process. We report the comparison of selected outcomes of pancreas transplantation alone (PTA) and islet transplantation alone (ITA) performed at the San Raffaele Scientific Institute in Milan (Italy). Patients received either PTA or ITA according to current clinical indications, without random assignment to either treatment. In this analysis, we included patients with at least one year of post-transplant follow-up. - serum creatinine <1.5 mg/dl, regardless of urinary protein excretion. - cardiovascular disease excluding the patient from being listed for pancreas transplantation. PTA patients received ATG (7 days) and steroids (methylprednisolone bolus at induction; prednisone 10 mg per day for 6 months). Chronic immunosuppression included mycophenolate mofetil (MMF), cyclosporine (8 cases), and MMF and tacrolimus (25 cases). PTA was performed with the enteric diversion of exocrine secretion in all cases. Islets were infused in the liver under local anesthesia through the percutaneous transhepatic puncture of the portal vein under ultrasound guide. We recorded the following outcomes of interest: days of hospitalization for the procedure of PTA (hospitalization for the transplant) or ITA (cumulative hospitalizations for islet infusion); transfusions; perioperative adverse events; rate and duration of graft function, that is insulin independence; adverse events during follow-up determining hospitalization. Continuous variables with a normal distribution are compared using the two-tail Student t-test for unpaired data. Continuous variables that do not have a normal distribution are compared using the Mann-Whitney U test. Categorical variables are compared using the chi-square test or the Fisher's exact test as appropriate. A p-value <0.05 was considered statistically significant. Data analysis was performed using Stata, version 11.1 (Stata Corp., College Station, TX, USA). Between 1999 and 2010, 33 patients received PTA and 33 patients received ITA (9 patients received a single infusion, 16 patients two infusions, and 8 three infusions for a total of 57 infusions). Table 1 shows demographic and clinical baseline characteristics of PTA and ITA patients. Legend: Data are mean ± SD, or number and percentage. PTA: pancreas transplantation alone. ITA: islet transplantation alone. Table 2 shows the length of hospitalization for the transplantation procedure and the procedure-related adverse events. Duration of hospitalization was significantly shorter among patients receiving ITA compared to those receiving PTA, although we compiled the days of hospitalization of all infusion procedures for ITA patients. A significantly lower proportion of ITA patients required RBC transfusion compared to PTA patients. Legend: Data are numbers (or days, when indicated). Continuous variable (hospitalization) is expressed as median with interquartile range in parentheses. PTA: pancreas transplantation alone. ITA: islet transplantation alone. NA: not available. * Thrombosis of a peripheral branch of the portal vein. Eighteen patients who received PTA required relaparotomy in the perioperative period. In 12 cases relaparotomy was performed because of the need for transplantectomy (n = 8 for graft thrombosis, n = 3 for acute rejection and n = 1 for peritoneal bleeding). Thrombosis was the most common perioperative adverse event, affecting 13 of the 33 patients receiving PTA (39 %): four cases were well controlled using IV heparin infusion; two cases were promptly solved with thrombectomy performed using a Fogarty catheter; in 7 cases the pancreas graft was lost and had to be surgically removed. Bleeding occurred in five cases: two patients were treated with conservative medical treatment (temporary withdrawal of heparin); three patients required surgery for stopping the bleeding and in one of them the graft had to be removed. Rejection was diagnosed in 9 patients (8 cases of acute rejection and one case of chronic rejection): four patients required transplantectomy because of the development of severe pancreatitis; six patients required medical treatment (OKT3 in two cases; steroids bolus and ATG in one case; steroids bolus alone in three cases), which preserved the pancreas graft in all patients, although only one patient recovered graft function. Three patients receiving ITA had a thrombosis of the peripheral portal branch, which could be cleared by one month of SC low molecular weight heparin at anticoagulant therapeutic dosage. Bleeding occurred in 12 cases: 10 cases were mild (i.e., no hemoglobin levels below normal values) and required no intervention; two cases of perihepatic bleeding and one case of hemothorax required RBC transfusions to restore normal hemoglobin values. Table 3 shows the adverse events occurring during the long-term follow-up of PTA and ITA patients. Twenty-one PTA patients (64 %) had CMV infection (n = 20 cases of reactivation of CMV infection, n = 1 case of a new CMV infection) which required medical treatment. In contrast, only two ITA patients (6 %) had CMV infection (one case of reactivation of CMV infection and one new case) which required medical treatment. Five PTA patients (15 %) developed systemic infections: four cases resolved with specific antibiotic therapy, and one case presenting with soft tissue infection of the foot had a dramatic progression to necrotizing fasciitis requiring leg amputation at the thigh. Two ITA patients (6 %) had biopsy-proven viral myocarditis, with one developing clinical symptoms of heart disease requiring specific therapy. Both patients completely recovered. Legend: Data are numbers (or days, when indicated). Continuous variable (hospitalization) is expressed as median with interquartile range in parentheses. PTA: pancreas transplantation alone. ITA: islet transplantation alone. RD: renal disease. DN: diabetic nephropathy: TW: tacrolimus withdrawal. TP: thrombocytopenic purpura. TAC: tacrolimus. * Thrombosis of a peripheral branch of the portal vein. Four PTA patients and five ITA patients had deterioration of kidney function: three patients progressed to end-stage renal disease (n = 1 PTA and n = 2 ITA) and started hemodialysis, one patient (PTA) received kidney transplant; one case (ITA) maintained a stable kidney function with ACE inhibitors therapy; in two cases kidney function returned to normal after stopping tacrolimus. One PTA patient died one week after transplantectomy for acute rejection because of massive bleeding through an aortic-enteric fistula. The gain of insulin independence usually occurs immediately after a successful PTA. Among ITA patients it may take several weeks or months after the last islet infusion. Among PTA recipients, 25 out of 33 patients (76 %) became insulin independent. Seven patients (21%) required peri-operative removal of the graft due to surgical complications and were considered early failures (i.e., insulin independence not sustained for > 4 weeks). One patient with a portal venous thrombosis did not achieve full pancreas function. This patient was treated with low doses of insulin and was considered to have partial function. The rate of insulin independence was similar among PTA patients treated with FK506 (19 out of 25) compared to those treated without FK506 (6 out of 8) (p = 0.645). Among ITA recipients, 19 out of 33 (57%) became insulin independent; five patients had islet early failure (i.e., exhaustion of C-peptide secretion within 4 weeks); nine (27 %) maintained partial islet function (i.e., fasting C-peptide levels > 0.3 ng/ml). The rate of insulin independence was higher among ITA patients treated with FK506 (16 out of 22) compared to those treated without FK506 (3 out of 11) (p = 0.024). The probability of loss of insulin independence (Kaplan-Meier estimates) for patients who had achieved insulin independence are shown in Figure 1 (by type of transplantation), Figure 2 (PTA patients by immunosuppression regimen), and Figure 3 (ITA patients by immunosuppression regimen). Figure 1. Kaplan Meier estimates of insulin independence among patients receiving either a technically successful pancreas transplantation alone (PTA) or islet transplantation alone (ITA). Figure 2. Kaplan-Meier estimates of insulin independence among patients who received pancreas transplantation alone (PTA) and who were treated with immunosuppressive regimens with or without FK506. Figure 3. Kaplan-Meier estimates of insulin independence among patients who received islet transplantation alone (ITA) and who were treated with immunosuppressive regimens with or without FK506. The probability of losing insulin independence is similar in PTA and ITA patients (p = 0.574, PTA vs. ITA), with a steep decrease in the survival curve during the first year after achieving insulin independence. PTA patients who received an immunosuppressive regimen without FK506 had a significantly higher probability of losing insulin independence compared to PTA patients who received an immunosuppressive regimen with FK506 (p = 0.005, PTA patients treated with FK506 vs. PTA patients treated without FK506). The probability of losing insulin independence was similar among ITA patients who received an immunosuppressive regimen without FK506 or an immunosuppressive regimen with FK506 (p = 0.540, ITA patients treated with FK506 vs. ITA patients treated without FK506). This study compared the outcomes of pancreas and islet transplantation, the only two procedures capable of restoring beta-cell mass in patients with type 1 diabetes. We focused on the risks and benefits of both procedures, with the objective of better defining indications and providing evidence to support the decision-making process. Since 1970 the Minneapolis Transplant Department has been the world center of excellence in the field of pancreas transplantation, because of the large number of transplantations, innovative surgical techniques, and new immunosuppressive protocols. The 2001 update, including current technical and immunosuppressive protocols, reports a 57% survival rate of PTA at five years . Another group reported a significantly increased survival of graft function at one year with tacrolimus vs. cyclosporine (76.5% vs. 53.4%, respectively) . After the Edmonton group reported 100% rate of insulin independence in seven patients who underwent ITA , many different immunosuppressive approaches have been tested, although through uncontrolled studies on small number of patients with a relatively short follow-up. Despite these limitations, the studies have shown that insulin independence was not lasting for a long time after ITA, with often only partial function of the islets being preserved in the long term [4, 7, 8]. The comparison of PTA and ITA based on data available in the literature is difficult, mainly because of differences in surgical techniques, patient selection and immunosuppression. At our institute we have a long-term experience in both ITA and PTA: 298 pancreas transplants were performed since 1985 (246 simultaneous pancreas and kidney, 36 PTA and 16 pancreas after kidney) and 106 islet allotransplants were performed since 1989 (59 islet/kidney and 47 islet alone). This provides a unique opportunity to compare selected clinical outcomes of PTA and ITA within the same clinical transplant center. In the present analysis, we included 33 patients with type 1 diabetes who received PTA and 33 patients who received ITA, and we followed them up for at least one year. Patients were included in the waiting list for either PTA or ITA according to the ADA recommendations for PTA. The indications for ITA followed the experience of the multi-center study of the Edmonton protocol. For PTA, there were no limits in urinary protein excretion (i.e., also patients with overt diabetic nephropathy could be listed), and patients could have had rapid progression of retinopathy and neuropathy. Instable metabolic control was an inclusion criterion for both ITA and PTA, although patients showing more disabling events were usually candidates for PTA. Sustained insulin independence was achieved in 75% of PTA patients and 57% of ITA patients. Kaplan-Meier estimates of insulin independence were similar for PTA and ITA patients, showing that the loss of transplant function occurred during the first year for both islets and pancreas. Cyclosporine was used for chronic immunosuppression at the beginning of the PTA experience and was later replaced by tacrolimus. The effect of immunosuppression therapy was evident during long-term follow-up: PTA recipients on cyclosporine had a worse graft survival than patients on tacrolimus. PTA patients who received tacrolimus had a sustained insulin independence of 60% after the first years. This corresponds to findings reported in the literature . For ITA patients. it is difficult to assess the impact on clinical outcomes of the tacrolimus-free immunosuppression, because of the low number of cases and the short follow-up. Therefore, our data support the role of tacrolimus as the cornerstone of immunosuppression for PTA, while its role in ITA requires further investigation. We may postulate that the direct toxic effect of tacrolimus on islets, documented in vitro and in animal models [6, 4], is enhanced when islets are isolated from the physiological milieu of whole organ. Concerning perioperative adverse events, PTA patients had a higher risk related to the need for laparotomy, RBC transfusions, and longer period of hospitalization, as expected. Relaparotomies and transplantectomies are specific to PTA, and do not occur among ITA patients. During long-term follow-up, immunosuppressive therapy caused a higher morbidity among PTA patients than ITA patients. We speculated that the higher rate of CMV among PTA patients could be due to a higher antigenic load of the whole graft compared to the islets, and a more aggressive immunosuppressive protocol among PTA than ITA patients (e.g., ATG for 7 days; steroids for 6 months). Moreover, infections other than CMV increased the number of hospitalizations among PTA patients, and ended up dramatically in two cases (one patient died and one patient was amputated). No life-threatening events were recorded among ITA patients. Another adverse effect of the immunosuppressive drugs was nephrotoxicity: in both groups nephrotoxicity could have been predicted by pre-transplant conditions, i.e., patients with pre-operative mild diabetic nephropathy had a significant deterioration of kidney function because of immunosuppression. In the final decision process, it is important to take into account that, although both procedures show a similar rate of insulin independence, the burden of procedure-related adverse events is clearly higher for PTA than for ITA. The long survival of PTA represents an attractive solution for patients whose life is disrupted by instable metabolic control and/or rapidly progressing chronic diabetes complications. Beta-cell function is promptly restored after PTA with the potential for reverting diabetes complications [11, 12]. When assessing a patient for PTA, it is mandatory to accurately screen for cardiovascular disease, because of the risks related to major surgery, and possible relaparotomy. Furthermore, a higher morbidity among patients receiving PTA should be taken into account. Interestingly, on this issue Rostambeigi et al. reported 88 infection episodes during the 11 year follow-up of PTA recipients, with 41/67 patients (61.1%) having a serious infection . Criteria for considering patients for ITA may be broader. First of all, there are no absolute contraindications related to cardiovascular disease because ITA does not require major surgery. Therefore, patients previously assessed for PTA and excluded because of cardiovascular disease may be considered for ITA. Patients having good compliance with insulin therapy, but severe acute or chronic complications of diabetes, as defined for PTA indications, can be considered for ITA. It should be taken into account that optimal glycemic control could be achieved with low doses of insulin or fewer insulin injections after loss of insulin independence since partial islet function may be retained for a long time. Disclosures (conflict of interest statement): The authors report no conflict of interests. Vantyghem MC, Defrance F, Quintin D, Leroy C, Raverdi V, Prevost G, Caiazzo R, Kerr-Conte J, Glowacki F, Hazzan M, Noel C, Pattou F, Diamenord AS, Bresson R, Bourdelle-Hego MF, et al.